Biaxial forced mixer is a mature product of Zhengzhou CamelWay Machinery , the equipment of parallelism and coaxial sealing degree effectively guarantees the quality of concrete mixer. Concrete mixer equipped with multiple shaft end seal protection device, effectively prevent the leakage incident. Equipment is heavy-duty design, guarantee the stability of the operation; Optional mixer weighing protection system; Specification can choose a variety of models; And unique mixer monitor system can monitor reducer, discharge pump, electric lubrication pump working condition; Concrete mixer and multi-tube multi-channel water spray system, can be evenly sprayed with water. 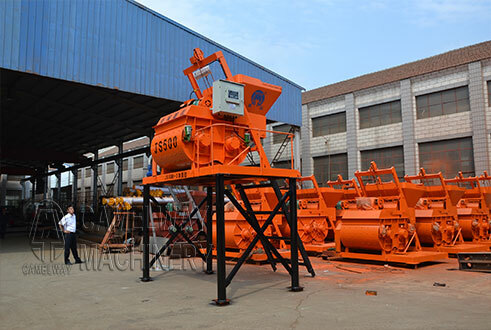 At present, the company has many different mixer for sale at low price. If you want to reduce the cost to import the concrete mixer from China, please feel free to contact us at any time.